Tamil movies : Surya’s Swift and Kamal’s Tata Sumo!! 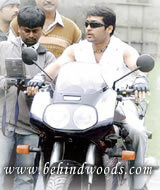 Surya’s Swift and Kamal’s Tata Sumo!! Commercial Cinema? - We are talking about in-film ads! In an age when every film strives to subtly and naturally incorporate advertisements as part of the script, Tamil cinema is no amateur in the game. If earlier it was just a harmless, branded beverage that an actor or actress endorsed, today the bond between a brand and the film runs much deeper and is a lot stronger. Take for instance the recent case of the Surya starrer, Jillendru Oru Kaadhal that is said to endorse the Maruti Swift in its film. It was reported earlier in some sects of the media about the imminent shoot at their manufacturing unit, a first-of-its-kind in Indian cinema, and the fact that in the film, Surya will even test drive the new car from India's leading car manufacturer. In fact, the brain behind this idea is Sujit Kumar of Options, a Chennai-based ad agency, "The minute I heard that Surya plays the character of a test driver in the film, I pitched the idea to Maruti and they of course grabbed the opportunity. It was the best way for the manufacturer to make in-roads into the regional market." 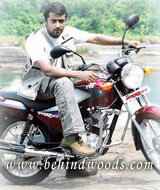 Even in the Kamal Hassan starrer, Vettayadu Vilayadu, director Gautham Menon uses the car, Tata Sumo, in the film. "I believe that any advertisement in the film should go with the flow of the film and should not be forced. It worked for me, as Kamal plays the role of a police officer and most officers are generally seen driving a Sumo. In fact, in the film, he even uses an Apple laptop, which is again a requirement of the script and not something forced." If readers will recall, even in the film Chandramukhi, Tata Indicom had a huge role to play. Imposing billboards in the background and actors using Tata Indicom phones in the film were all subtly added, without intruding with the scene or the film. Even in the film Anniyan, Vivek sports a Knorr Soup baniyan in one of the scenes, thereby subtly endorsing the product. Director Sujith of Priyasakhi too shares the sentiments expressed by Gautham. "In Priyasakhi, there is a scene where the hero gifts his girlfriend a diamond ring, and hence, it was natural for me to rope in Sanghini Diamonds. It worked for me as well as for the client."